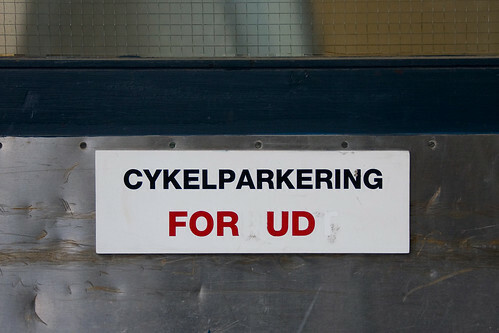 A sign that read "Bicycle Parking 'Forbudt'" Forbudt meaning Forbidden. Bicycle Parking Ahead, or In Advance. Amusing, perhaps. Funny. Like haha funny. Innit.